I love getting subscription boxes. It’s like a fun surprise in the mail! If you’re not familiar with the concept, it’s a box around some sort of theme that gets sent to your house on a regular basis (usually once a month) and it’s filled with goodies for that theme. Most of the time the items in the box are a surprise, so it’s a fun way to treat yourself! There are subscription boxes with clothing like Stitch Fix, food (Love with Food), make up (Ipsy), geeky stuff (Loot Crate) and almost anything you can think of. I’ve discovered a number of really fun Disney subscription boxes, so I wanted to share them all with you in one spot! If you come across any other Disney related subscription boxes that aren’t on my list, please email me at disneyinyourday@gmail.com so I can get it added! 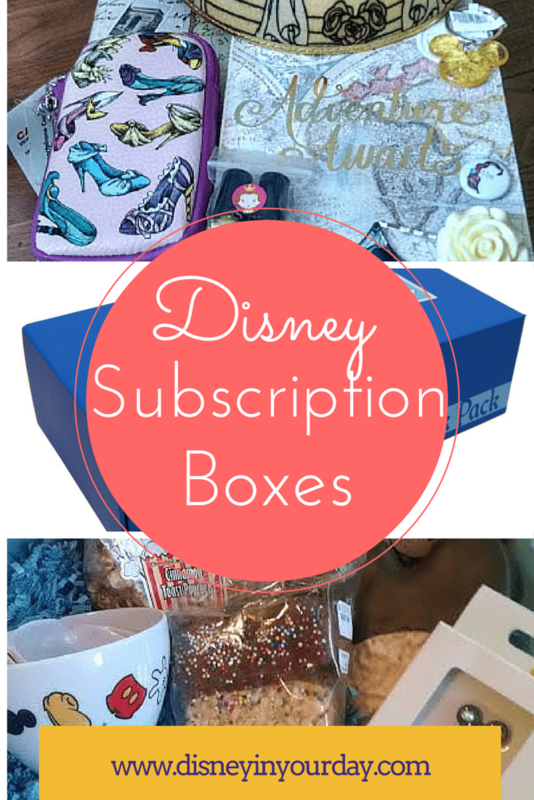 Mickey Monthly: This Disney subscription box is a great service with so many options! Their main box is the original series – this includes licensed Disney items which are an excellent value. If you’re a fan of the parks, the theme park edition includes 100% authentic Disney Parks merchandise. Prices start as low as $19 for a monthly box or $6.49 for pins. You can choose whether you want to receive souvenirs, snacks, or both – plus the recipient’s age and gender for maximum customization. Boxney: Currently featuring Disney treats from the theme parks delivered right to your door! They will be expanding into other Disney items soon as well. Starts at $30/month. Read my review here. Disney Treasures: The latest official collaboration between Disney and Funko. Every other month receive a box filled with collectibles inspired by classic Disney or Disney theme park attractions, including at least 1 POP vinyl. Starts at $30 per box. Read my review here. Gifts from Mickey: Offers monthly and one-time box options, and are clearly put together with a personal touch. Has a specialty Epcot box, coffee lover’s box, and more! Starts at $25.99 per month. Read my review here, and here, and my coffee lover’s review here. Magic Monthly: Disney goodies from the theme parks. Also has a number of specialty boxes around a certain topic, like kitchen goods or snacks. Different sized boxes are available, ranging in price from $15-50, plus shipping. Read my review here. Marvel Collector Corps: A box sent every other month filled with fun Marvel related items. $25 per box. Read my review here. Pop in a Box: Get Pop Vinyls delivered right to your door – you fill out a collection profile so you are always guaranteed to get something you want! Different size boxes are available starting at $9.99 plus shipping. Read my review here. Star Wars: Smugglers Bounty: This box will come every other month filled with Star Wars stuff, including exclusive POP vinyls. $25 per box. Read my reviews here and here. Themepark Monthly: Offering a variety of different boxes with merchandise directly from Walt Disney World. 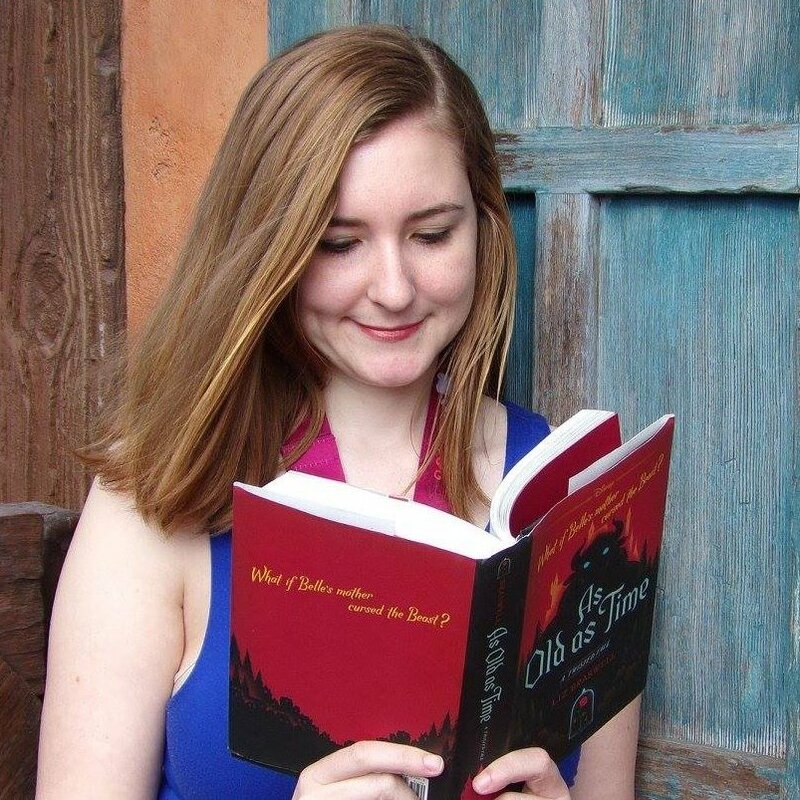 Pins, mugs, snacks, and more – even a Harry Potter wand box is available! Starting at $8.95 per box and up. Read my review here. Walt Life, Inc. A monthly box filled with Disney related goodies around a certain theme (summer, villains, etc.). $34.95 per month. Read my review here. These are boxes that I reviewed at one point, but upon visiting their websites it seems they’ve gone out of business or don’t make the Disney boxes anymore. Disney Subscription Box – Creations by Kasie: Read my review here. Disney Mystery box: Read my review here. Enchanted Beauty Box: Read my review here. IncrediBows Monthly Subscription: Read my review here. Main Street Creations: Read my review here. Park Sack: Read my review here. Princess Monthly Surprise: Read my review here. WDW in a Box: Read my review here. Create a Custom Memory: Read my review here. Disney Park Pack: Read my review here. Magical Surprise: Read my review here. Plane Crazy Button Club: Read my review here. Pley Princess Box: Read my review here. Tsum Tsum Subscription Box: Read my reviews here, here, and here.